"Despite the killings and terror committed by its paramilitary groups, the Armed Forces of the Philippines has the nerve to ask for more budget to fund them," said Cristina Palabay, Karapatan secretary general on the plenary deliberations at the Lower House of the Department of National Defense' budget. "Straight from the horse's mouth," Palabay said, "the DND admitted there are more than 53,000 CAFGU (Civilian Armed Forces Geographical Unit) and paramilitary forces under its command." The DND also said during the budget hearing that more than half of the CAFGU or about 30,735 are in Mindanao. Karapatan also noted that it is the harassment of the paramilitary group Magahat/Bagani that led to the evacuation of almost a thousand residents of Marihatag, Surigao del Sur just last week. Bobby Tejero, the same gunman who killed Dionel Campos and Datu Juvello Sinzo in Lianga, was seen by the residents approaching their community. He was in the company of the Special Forces unit of the Philippine Army led by Lt. Ralph Francisco. Evacuees also recounted to have seen another paramilitary group led by Calpet Egua shortly before they left their community. Alamara paramilitary group leader Lumansad Sibugan was sighted by parents, teachers and students who attended the Foundation Day celebration of the Salugpungan Ta 'Tanu Igkanugon Community Learning Center Inc. (STTICLC) in Talaingod, Davao del Norte on September 28. Sibugan and elements of the 68th IB-PA tried to block the participants in attending the celebration. 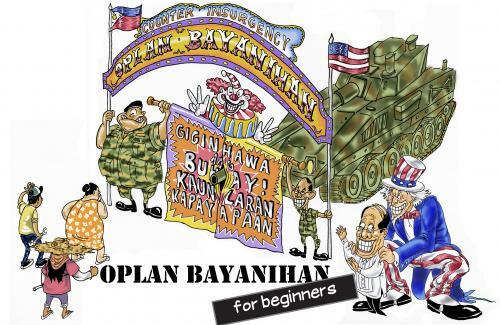 Sibugan was among the three ‘datu” recently presented by the AFP to the media in Manila in an attempt to cover up the accountability of the army in the Lianga massacre and in the abuses committed in Talaingod, Davao del Norte that led to the evacuation of Lumad. "Each year, more than PhP 2 billion are allocated to the AFP for its force multipliers. The DND wants more next year," Palabay said. "The AFP definitely wants to strengthen paramilitary groups, instead of heeding the call to disband them, because they serve as cover to military atrocities in Lumad communities," she said. 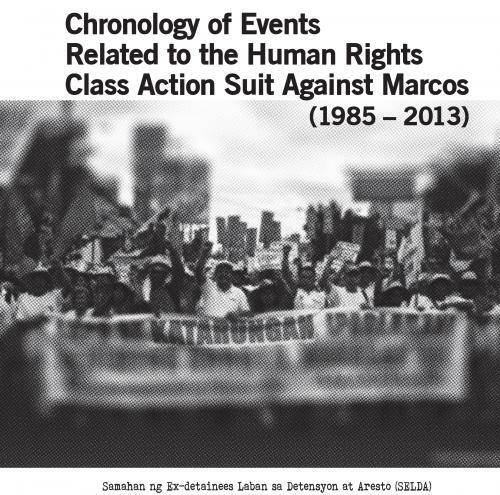 As of August 30, 2015 Karapatan has documented 77 cases of extrajudicial killings involving paramilitary groups. The number includes the killing of Italian priest Fr. Fausto Tentorio, Lumad leaders Datu Jimmy Liguyon and Henry Alameda, and anti-mining activist Juvy Capion and her two children. "The number of victims will definitely increase, if the AFP will be given more funds for this," Palabay said.